Has your lawnmower ever been hard to start after a period of time in storage? Every year we have customers bringing their machines to our workshop having issues with them not starting. Most of the time this is due to the machine being stored away with petrol still in the tank. The damage that can be caused to your machinery from stale fuel can be extensive and often ends in an expensive repair bill, therefore, it is always recommended that you do not use fuel that is over 30 days old. When you are not using your machine you should always empty the fuel out prior to storing. When petrol is left sitting in a machine for a long period of time it will absorb moisture from the air, this moisture will then form bubbles or a layer of water which will sit below the fuel in the fuel tank. This acidic mix is very corrosive and causes oxidation throughout your fuel system which leads to engine starting problems. There are a couple of options you could either ensure that you empty the fuel from your machine if you do not intend to use it for more than a month. Empty the remaining fuel and then start the engine, the machine will only run until the last of the fuel is gone. Another option is to use an ethanol-free fuel such as Aspen. Aspen is an odourless, long-lasting alkylate replacement for regular petrol. It contains virtually no harmful substances, e.g sulphur, benzene or toluene, and contains no ethanol. It is virtually 99% cleaner than using regular petrol and this means it has no unpleasant, harmful exhaust emissions making it better for the environment, your health and also your machinery. Which Aspen should I use for my machine? There is Aspen 2 and Aspen 4 available to buy. Aspen 2 is alkylated petrol premixed at 50:1 with a premium quality biodegradable 2-stroke oil. This is suitable for use in small engines such as Chainsaws, hedge trimmers, power cutters, strimmers and brushcutters. Aspen 4 is suitable for lawnmowers, cultivators, boat engines or any other 4-stroke engine. What are the Benefits of using Aspen Fuel? There are many advantages to using Aspen Fuel. All the benefits contribute to a better all-round experience whilst using your machinery, making your gardening easier and more enjoyable. Aspen 2 is premixed eliminating the need for you to mix your own 2-stroke fuel – making it more convenient, saving time, and removing the risk of mixing incorrectly. Aspen Fuel is available in both 1 litre and 5 litre containers. Due to this being a flammable liquid we are unable to ship large quantities via post or courier. It is available to purchase online and can be collected from either of our stores or you can just call in to purchase. Spring is finally here! Time to tackle the lawn after a fairly cold and miserable winter. Are you thinking of investing in a new lawnmower for the upcoming grass cutting season? Not sure where to start? Our handy guide will give you all the information you need to help you choose the Honda lawnmower that’s right for you. A Walk Behind lawnmower is suited to a small to medium sized garden. For smaller, flat gardens a Honda HRG466SKE single speed mower may be sufficient. This is part of the IZY Range and is easy to use with auto-choke and soft-grip recoil control which makes it easy to start. It also features Selective Versamow which enables the user to switch between collecting the grass cuttings in the rear collection bag or mulching the grass directly onto the lawn, this helps to feed your lawn essential nutrients to help it thrive. For something with more power a self propelled mower would suit, This means that the mower will travel using its own power and only need guiding by the user to change direction and move around obstacles. Honda Self Propelled Mowers come with variable speed such as Honda HRG536VYE. This model features Smart Drive which is the latest self-propelled technology that provides subtle finger tip control, for accuracy around flowerbeds and borders. For Professional users a Hydrostatic Model will provide you with more power. Honda’s Hydrostatic Drive gives you greater accuracy by providing smooth, stepless speed control. The HRD536QXE and HRH536HXE mowers feature PRO Spec engines and a 53cm wide heavy duty cast aluminium cutter decks. Honda PRO Spec Lawnmowers are robust, reliable and designed to meet the most demanding conditions. If you have a larger lawn to cut a Ride on Mower is definately an excellent choice. Enjoy mowing your lawn with ease from the comfort of your driving seat. Honda premium lawn tractors deliver outstanding performance from their V-Twin Engines and are designed and built to take on any lawn, no matter how large. They are robust, reliable and user friendly, with Versamow Selective Mulching, a tough bumper for protection and a cast iron front axle, that provides strength to the chassis and enhances the steering. 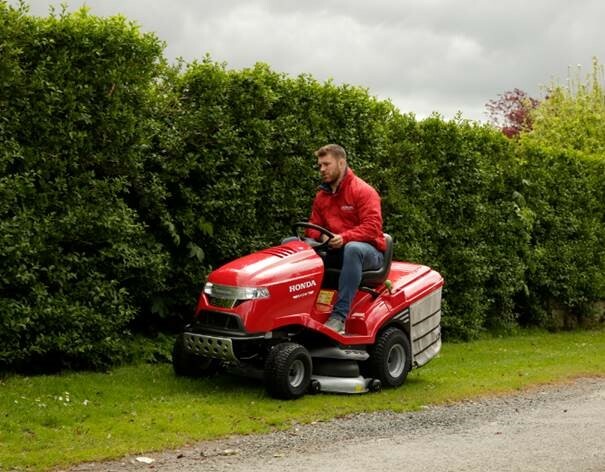 You can view our full range of Honda Lawnmowers in either of our showrooms in Donegal or they are are also available to purchase online. We deliver Nationwide throughout Ireland. If you would like any further information or advise regarding any of the Honda Lawnmowers our sales team are always available to help. in Donegal or they are are also available to purchase online. We deliver Nationwide throughout Ireland. If you would like any further information or advise regarding any of the Honda Lawnmowers our sales team are always available to help. Technology has swept the world over the last 15 years. Whether it’s your smartphone, television or your broadband, technology has played a big part in your life. These advancements have had some great benefits. For example, instead of going out and buying a 50+ page newspaper, you can visit your favourite news site and read the articles that matter and interest you most. We know gardening can be time consuming, costly and with the Irish weather, an absolute pain! Husqvarna have been researching and developing their Robotic Mower for over 23 years, making it one of the best in the industry. Throughout Europe, the Automower has been taking gardens by storm, due to all of its benefits. Who wants to waste precious hours during their weekends tediously cutting grass, spending money on fuel and wishing it would stay dry to get a cut in? It takes on average between 2 – 2 1/2 hours to cut a half acre lawn. What would you rather be doing in that time? The Husqvarna Automower will free up time for you to spend it on your family, hobbies or just relaxing. Once the Automower has been installed and the boundaries set in your garden it will do all the work. This intelligent machine is fully automatic and even knows when it is time to head back to the docking station to recharge. Unlike traditional lawnmowers the Automower only cuts small pieces of grass – just more often, these tiny shavings are barely visible ands will fall to the ground and decompose. They act as a natural fertiliser and save you the time emptying the grass box or raking up grass cuttings. Well this is a godsend! especially in Ireland. It’s not every year that we will get continuous dry sunny weather but that’s not a problem for the Automower. This machine will give you perfect results in most weather conditions. Giving the same fantastic results whether it is wet or dry. What’s more is the Automower will work day or night and as its silent there will be no worrying about disturbing the neighbours. No more polluting the environment with petrol fumes. As the Automower is run on batteries there are no direct emissions and the actual energy consumption is very low. With the grass clippings providing a natural fertiliser for your lawn you are feeding your lawn all natural goodness. A perfectly cut lawn all year round and you won’t need to lift a finger. Sounds too good to be true doesn’t it? But with the Husqvarna Automower that’s exactly what you will get. By mowing your lawn in a seemingly random pattern, in various directions you will get a carpet-like lawn throughout your garden. No area will be left uncut, the whole lawn is covered including narrow passages, around obstacles such as trees or flower beds, uneven surfaces and slopes. Your lawn will be lush and green due to the natural fertiliser on your lawn from the clippings. It is recommended to complement the perfect finish of your lawn that you should strim the edges of your lawn that are outwith the boundary wire to achieve a perfect finish. There is no doubt that fuel pricing has gotten expensive over the years. With limited supplies, price hikes and high taxes, the cost of a litre of petrol will never drastically reduce again. But none of that will effect the Automower, and the costs associated with a petrol engine will never be compared to that of electric. The running costs for an Automower will vary depending on the model however from around only €15 per season for the electricity consumed compared to the average fill of petrol of between €8 and €15 per cut. The savings will soon add up. The servicing costs are considerably lower also. A battery will last up to 4 seasons (based on running the Automower 6 months of the year on an area of 800m2). There are many benefits to investing in a Husqvarna Automower whether they are for lifestyle or financial gains. This machine is definitely a game-changer in lawncare. In this technological age the added extra of being able to control your Automower from a smart phone app really gives added convenience to the user. For more information on the different models of Husqvarna Automower check out our Automower Buying Guide on our website which has more indepth information. Use this handy tool at Husqvarna.ie for measuring up your garden to see which model would be most suitable for you. If you would like to speak with a member of our sales team or would like more information on our range of Husqvarna Automowers then please call into one of our Robert Kee Power Equipment stores or or contact us on 074 9721805 and we will be happy to help. If you would like to be kept up to date with information, exclusive offers and promotions from Robert Kee Power Equipment why not sign up to our Newsletter at the bottom of this page. Why cycling is the best way to get fit this January? Are you thinking of ways to improve your health in 2019? Many of us have over indulged over the Christmas period and maybe feeling the waistband getting a bit tighter. One great way of improving your overall health is Cycling. Cycling is a great low-impact way to stay fit and healthy. It provides many benefits such as increasing strength and endurance, as well as decreasing body fat. Cycling mainly uses the legs but also incorporates upper-body muscles such as the chest, back, triceps and shoulders. Cycling not only improves your physical health but also your mental wellbeing, Mental health conditions such as depression, stress and anxiety can be reduced by regular cycling. This is due to the effects of the exercise itself and because of spending time out in the fresh air. Why not try out some of the cycle routes around Donegal like the Donegal Cycle Route which starts in Donegal Town and goes to Newtoncunningham then connects to the National Cycle Network. That way you will get to see some of the beautiful scenery our county has to offer. Cycling is an activity the whole family can do together. The smallest child can fit into a bike seat or a tow-along buggy and you can all set off. Riding a bike is a great fun way of getting the kids some exercise and if they see Mum and Dad regularly cycling then they are more likely enjoy taking their bicycle out as they grow up. As with any sport safety should always be taken into consideration. Please ensure that you are well equipped with safety helmets and protective gear when out on the roads and that you obey the rules of the road and be aware of other vehicles and road users at all times. Always ensure that your bike is fitted with the correct lights and reflectors if cycling at night. Check out our range of Bicycles at Robert Kee Power Equipment. We have something to suit all the family and also a large range of accessories to help with visibility and maintenance of your bicycle. Christmas is coming fast, are you prepared for the cosy nights at the fire? Time to get the chainsaw out and get cutting those logs. At Robert Kee Power Equipment we have everything you need to get cutting safely this winter. 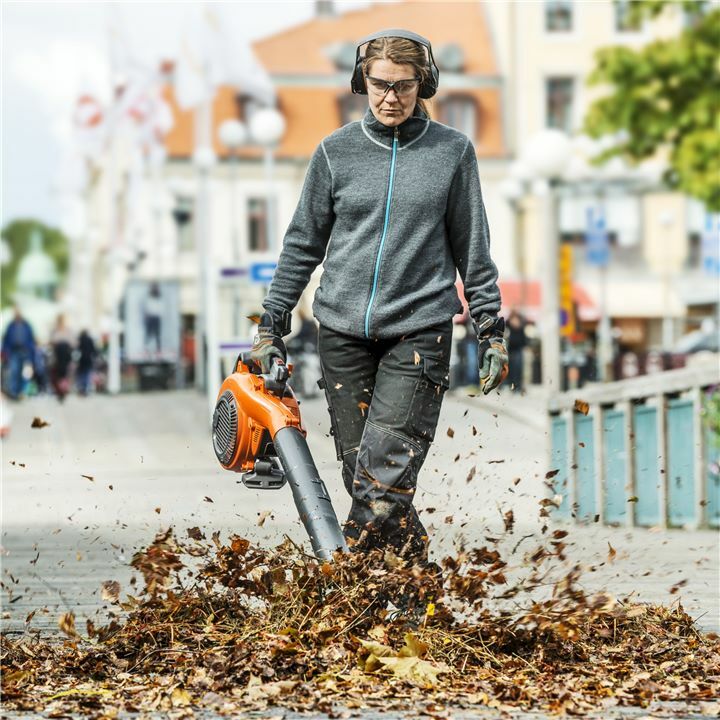 Our large range of Husqvarna chainsaws has one for every type of user from the homeowner through to the professional arborists. Firstly you must ensure you are kitted out with the correct PPE – Personal Protective Equipment. The essentials for cutting trees and firewood include chainsaw trousers, cut protection gloves, chainsaw safety boots and a helmet with visor and ear protection. Chainsaw trousers contain special fibers that will tangle around the chainsaw chain on impact and stop the machine almost immediately. A good sturdy pair of chainsaw boots will ensure you have a good grip and also protect you from loosing a toe or worse. We stock a large range of safety wear both instore and online which is available for nationwide delivery. At Robert Kee Power Equipment we are main agents for Husqvarna. 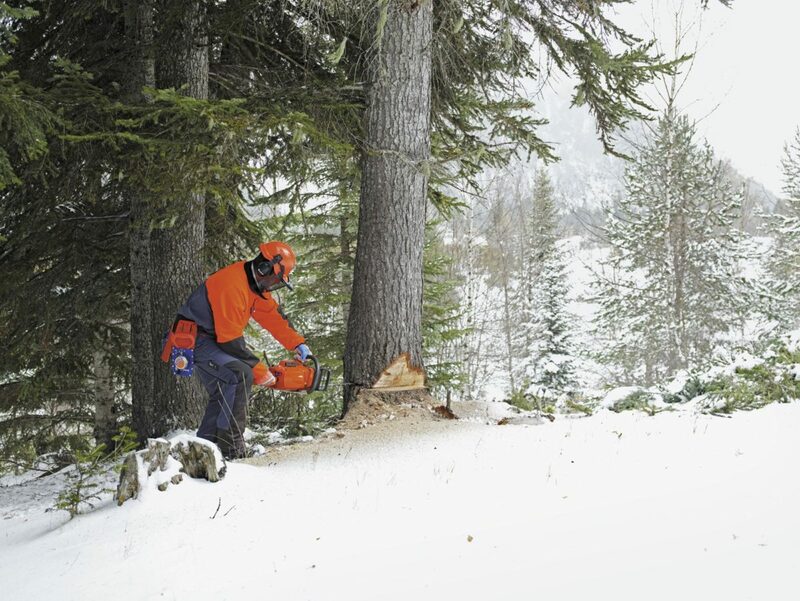 A Husqvarna Chainsaw will provide you with the power and performance to suit your needs whether you are a professional user, farmer or homeowner. The perfect start-up model for homeowners. It is a new lightweight and efficient saw ideal for those looking for a chainsaw that is exceptionally easy to start and manoeuvre. Featuring X-Torq® engine for lower fuel consumption and reduced emission levels. Equipped with fuel pump and Auto Return stop switch for easier starting. This is a saw for typical professional use. It has been developed in close cooperation with professional users working in the most demanding conditions. The low weight and high power are combined with a rugged engine, making this saw exceptionally versatile and suited for a wide variety of applications. The X-TORQ engine gives you a much more environmentally friendly saw with radically lower exhaust emission level and fuel consumption. If you would like any advise on any of the Husqvarna chainsaws please contact any of our sales advisors in our Laghey or Letterkenny Showrooms who will be glad to help. Even though most of the big retailers have been advertising Christmas since Halloween, it is now officially Christmas Season at Robert Kee Power Equipment. The tree is up and we are in the festive spirit. Let us help you make Christmas shopping a little easier this year with some of the fantastic gift ideas and bundles we have created for you to save a little extra. At Robert Kee it’s not just Lawnmowers and Chainsaws we sell, there really is something for everyone in the family. All our gifts are available to buy online and can be delivered straight to your door. What more could you want! We have a range of Christmas gift bundles available online suitable any on your life that is always working out on the farm or in the garden. The perfect accessory pack to keep you comfortable whilst on the quad. This kit includes a Front Dry Box for storing tools and equipment whilst driving, A quad seat cover and Handlebar Mittens for extra warmth and comfort. We have excellent value in the chainsaw accessory bundle which includes a Stihl Chainsaw Bag, Stihl Combi Can and Stihl Safety Gloves, the perfect gift for anyone who cuts their own timber at home or works with a chainsaw. The Chainsaw bag will hold any chainsaw up to an 18″ guide bar. 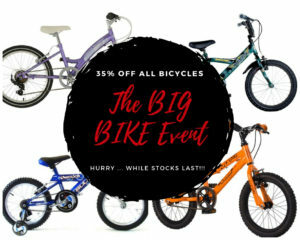 We have a large range of bicycles to choose from and we have a whopping 35% off them all in our Big Bike Event that is happening now. So for any mum’s, sister’s, wife’s of girlfriend’s that love to keep active now is the perfect time to buy and with free delivery nationwide we will take the hassle out of shopping. If its gardening they love then your in the right place. Robert Kee are authorised dealers for some of the best brands in Garden Equipment. We have some great Gift Bundles available for anyone working in the garden. How about this Husqvarna Gift Bundle including FM Radio Earmuffs and Classic gloves or what about this starter safety bundle. These bundles are great value. There is plenty for the children at Robert Kee Power Equipment. 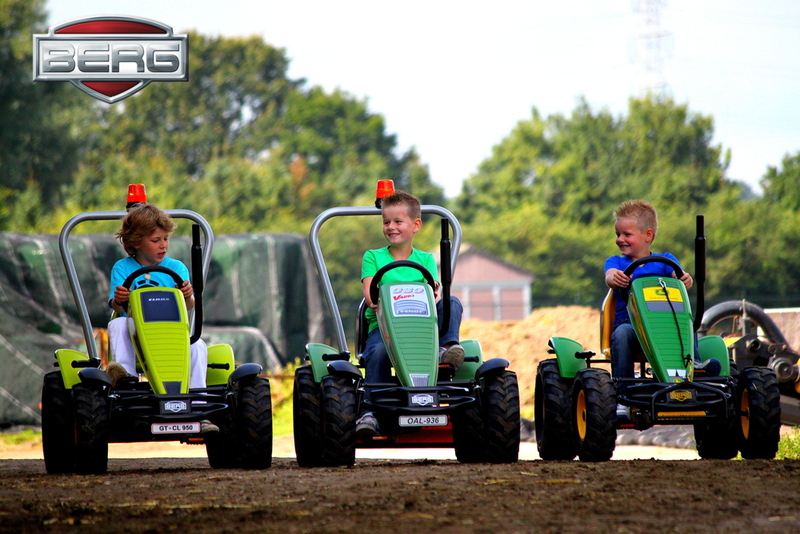 Keep them outside and active this year with our range of Berg Go-Karts, Petrol Go-Karts and Junior Quads. There is endless amounts of fun to be had with these fantastic toys. 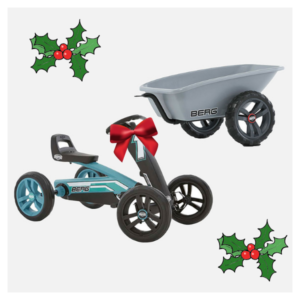 Berg Go-Karts are one of our most popular gifts for children at Christmas. We have a large range suitable for all ages from toddlers up to adults. We have made some great bundles in a selection of the go-karts which work out to be great value. Whoever you are looking to buy for drop into one of our showrooms and speak with one of our sales team who will be glad to help you find the perfect gift. If your not local to any of our shops in Donegal shop online and enjoy free nationwide delivery on most items over €99 (excluding items over 30kg in weight). Wishing all our customers a very Merry Christmas and a Prosperous New Year. We look forward to welcoming you back to our store in 2019. The final Cut – Of the Season! Prepare your lawn for winter. The final Cut – Of the Season! Preparing your lawn for winter. Temperatures are getting colder and you will have noticed the grass growth is slowing down now every week. The grass cutting season is coming to an end so anytime now give it one last cut then pack the lawn mower away for the year. Giving your lawn a bit of a Autumn maintenance will revitalise it and prepare it for the winter ahead. Here are some of our tips on what to do. By removing the build up of moss and dead grass it will help to improve drainage and prevent any disease forming helping to promote healthy grass growth. Before removing moss treat it by spreading mosskiller over the grass then waiting a couple of weeks before removing. To remove moss use a good spring-tined lawn-rake or if you have a large area to maintain try out the agri-fab Tine De-Thatcher which can be attached to your ride on lawnmower. The perfect lawn takes more than simply cutting, lawns that get alot of traffic from children or pets often become compacted which can cause problems with drainage, weeds and moss. Improve the drainage by inserting a garden fork into the ground as far as you can go, then wiggle it backwards and forwards to make air channels.There is also a range of attachments available which can be towed behind your ride on lawnmower to aerate your lawn if you have a large area to maintain. The Agri Fab Core Aerator is available on our website, or Husqvarna have a range of attachments available which can be ordered in. After aerating lightly spread sand over the lawn to fill in the holes but still allowing air and water into the lawn. At this time of year in Ireland, you should have your lawnmower cutting height set between 2½ and 3½ inches. This will ensure that you do not scalp the lawn and weaken the grass. If this happens you will tend to get a build up of moss on the bare patches. If you have a rotary mower there is no harm running it over the grass on a dry day to collect any dead leaves and save them suffocating the lawn over the winter period. Ensure this is done when the ground is dry. Autumn is a great time to fertilise your lawn. This is the time of year that the grass plant slows its growth and begins to store nutrients for the cold winter ahead. By fertilising now this will help your grass remain healthy in Spring. It will also help the grass’s resistance to any damaging diseases which may attack. 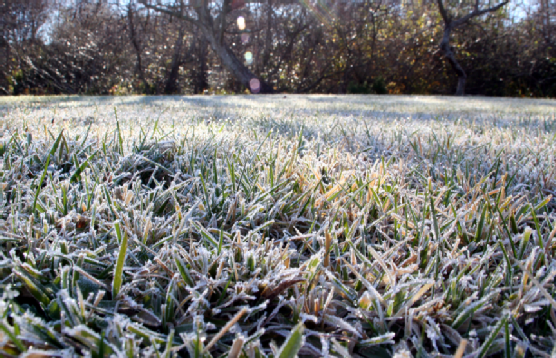 Follow the above steps now coming into winter to give your lawn a good tidy up before the cold weather comes and it will help to protect it from any damage or disease in the coming months. If you would like any advise or information on any of the machinery mentioned then please let us know and we will be glad to assist you. Recently Storm Ali left approximately 186,000 homes around Ireland without power. ESB Networks worked tirelessly through the day and night to restore power to the customers affected. When these storms hit, it is a reminder how much we rely on electricity for almost all of our basic living. How would you manage if you were left with no power for a few hours or in some cases several days before being restored? In these circumstances a portable generator would prove to be a godsend, especially as the winter months draw closer and lets face it, the chances are there will be more high force winds and stormy weather to come, increasing the chances of power outages again. Honda Portable Generators are compact and quiet, easy to store and transport. These lightweight Invertor generators supply the same high quality electricity as the power sources in your home therefore they are suitable for the most sensitive of electrical equipment such as laptops and TV’s. Honda products are renowned for their reliability and these portable generators are no different. Featuring Eco-Throttle technology which adjusts the engine speed therefore reducing fuel costs and extending the engine life ensuring you will get years of use from this generator. The New Honda EU22i is our most popular generator for domestic use providing 2200 watt mains quality electricity and over 3 hours run time in just one tank of petrol. These generators have a specifically designed casing to ensure they are as quiet to run as possible ensuring you won’t feel like your in the middle of a building site! 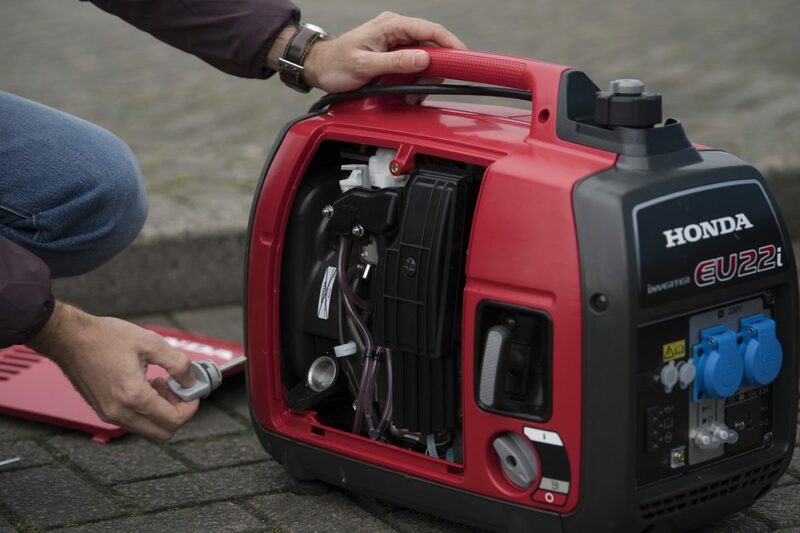 Portable Generators are suited to various uses such as a power supply whilst camping or caravanning, outdoor events or any situation where a power supply is required therefore they are a convenient piece of equipment to have at home for emergencies or leisure use. Customers ordering online will receive free, fast, nationwide delivery anywhere in Ireland so don’t delay get your Honda Generator today and be prepared this winter. The kids are back to school and summer feels like a distant memory. We’re all layering on the wooly jumpers and scarves in a bid to warm up. We know whats approaching next, don’t we? The dreaded “C” word – time to start thinking about Christmas. What’s on your children’s Christmas list this year? Playstation?, IPhone? DVD’s? At Robert Kee we love to see kids outdoors having fun so let’s ditch the screen time and get them outside. Here are out 3 top ways of getting your kids away from the technology and outside having fun. What better way for your child to spend time outside than learning about their surroundings therefore get young children involved by buying a bird feeder, let them maintain it and see what kind of birds it attracts into the garden. Start a vegetable patch and get kids involved planting some fruit or vegetables that they would enjoy eating. For the little helpers we have a range of children’s garden toys such as Strimmer, Blower and Chainsaw. 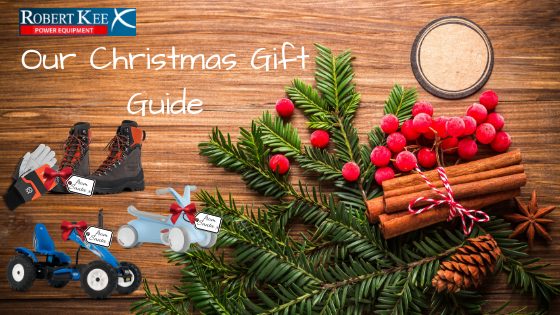 Our most popular items at Christmas are definitely the Berg Go-Karts. There is a Berg Go-Kart suitable for every age group. The quality is excellent and with features such as adjustable seat and steering wheel they will consequently last for years. New to the range for Christmas 2018 is the Berg Go² for age 10 – 30 months this go-kart is the first steps in your child’s development. The ever popular Buzzy range is fantastic for kid’s age 2-5. The Berg Buddy range are easy to ride and have superior stability ensuring there is no chance of your little adventurer tipping over. For older children we have the Berg Buddy, Compact, Classic and Farm Ranges. Berg go-karts are suitable for age 5+ and have a range of accessories available to make your go-kart even cooler! For older children who might need more persuasion to leave their Playstation or tablet behind, you are sure to get them outside with one of our Junior Quads or Off Road Buggies. With quality and safety in mind, Quadzilla’s range of Dune Buggies are built to handle any terrain during any sort of weather. With an off road buggy, you can double the fun, and take a passenger with you. Both the Mini-Bug and the Wolf XL Buggy are fitted with LED headlights, so no matter what time of year or day you are out having fun, it won’t be stopped with the darkness. With Autumn just around the corner it won’t be long till we will have leaves covering the ground. While this is lovely for forest walks on a dry crisp day, the reality is that it can make the most beautiful of lawns look untidy. With wet soggy leaves covering paths it can be a bit of a nightmare keeping it tidy. Don’t spend your entire time sweeping piles of leaves around the garden, invest in a Leaf Blower and it will soon become your new favourite garden tool. 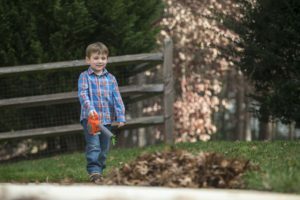 Leaf Blowers have become so popular for use around the home all year round as they are such a powerful tool for any kind of outdoor cleaning up and lots of other fun activities too!! So how do you know which one suits your needs best? If you are using your machine for a short period of time or have a small area to tidy then a handheld blower is recommended. They are lightweight and easy to use. A backpack blower is recommended for working on a larger area as the weight of the leaf blower will be distributed across the shoulders and back with a comfortable harness. Backpack blowers are suited to use in tougher conditions and also for long hours. A battery powered leaf blower is perfect for use in areas where you want to keep the noise level to a minimum. With no fuel, oil or cords to get in the way these battery powered machines are lightweight and easy to use and are just as effective as a petrol driven machine. So what features should you look our for in a Blower? Ideal for when you are using for a long period of time this feature allows the speed to be set without the need to hold the trigger. Ensuring there is a spring assisted recoil means it requires much less force to get the machine started therefore is easier on the user. The higher the air speed and air flow, the more powerful the machine. At Robert Kee Power Equipment we stock a large range of Blowers from leading brands Stihl, Husqvarna and Mitox. For all Blowers purchased online you will receive free ear defenders and 2 shots of 2-stroke mix plus there is free nationwide delivery on all blowers so don’t miss out on this fantastic offer running now. Our top 3 blowers that we recommend are. We stock a range of Children’s Garden Machinery so your kids can help you out while your working. If you have any questions regarding what would be best blower for your needs please contact our sales team who are happy to advise you.